Dr. T.S. Kanaka, Asia’s first woman neurosurgeon and third woman neurosurgeon in the whole world, passed away on Wednesday in Tamil Nadu. She was 86 and had been ill for some time. Kanaka had also been an army medical officer for two years during the Indo-China war. 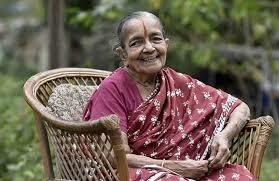 In 1990 she retired as professor of Neurosurgery in Madras Medical College (MMC). Of the countless women she inspired, one was her niece, G. Vijaya, currently the head of the Department of Neurosurgery at Sri Narayani Hospital and Research Centre, Vellore. “She was the third woman neurosurgeon in the whole world. She has inspired at least 75 to 80 women to become neurosurgeons in the country. As an 11-year-old child then, I started to look up to her and went on to become a neurosurgeon, the second in our family,” Vijaya said. Deep brain stimulation and cerebral palsy were the primary interests of Kanaka, along with her contribution to stereotactic surgery along with professors V. Balasubramanian and S. Kalyanaraman.